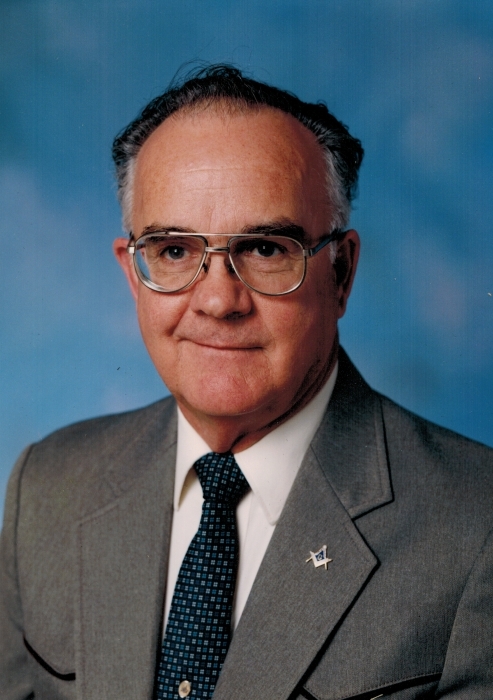 Raymond E. Isom, 81, of Bettendorf, passed away on Thursday, April 4, 2019 at the Clarissa C. Cook Hospice House, Bettendorf. A memorial service will be held at 11:30 a.m. on Monday at Asbury United Methodist Church, Bettendorf. Visitation will be 10:30 a.m. until service time at the church. Inurnment will be in Ida Grove Cemetery at a later date. Memorials may be directed to the Buffalo Bill Post #347 American Legion in LeClaire, Iowa, Masonic Snow Lodge in LeClaire, or to your local Boy Scouts of America Chapter. Raymond was born February 28, 1938 in Loveland, Iowa, son of George and Velma (Hiles) Isom. On September 7, 1959, he married Jane Jessen in Mapleton, Iowa. He served in the U.S. Army during the Vietnam War. Raymond retired from Iowa DOT after 35 years, and then worked part-time for the City of Princeton, Iowa. He was a member of Asbury United Methodist Church, Masonic Snow Lodge, Buffalo Bill Post #347 American Legion, and Silver Creek Eastern Star. He enjoyed the outdoors, whether he was fishing, camping, bird watching, or feeding treats to the neighbor’s dogs. Raymond enjoyed wood working, spending time with friends, and most importantly spending time with his grandchildren. He is survived by his wife, Jane Isom of Bettendorf; daughter, Brenda (Marshall) Bumann of LeClaire; son, Brian (Lyn) Isom of Mediapolis, Iowa; brothers, Glen Isom of Danbury, Iowa, Richard Isom of Missouri Valley, Iowa; six grandchildren, Sarah (fiancé Matt Flugge), Rebecca Bumann, Jacob Bumann, all of LeClaire, Katerina (Kyle) Millizer of Burlington, Iowa, Kortni Isom and Nicholas Isom, both of Waterloo, Iowa; and two great-grandchildren, Emery and Raymond Millizer. He was preceded in death by his parents; a son, Steven; and a sister, Alice Knepper.